You're getting your Saturday post early because of the application deadline in the first item. Students for Life of America (SFLA) has announced the Wilberforce Fellowship, in which campus pro-life advocates are mentored by leaders of national pro-life organizations. It sounds like a great opportunity for people who are interested in a career in the pro-life movement. It will take roughly 8 hours a week and lasts through the 2010-2011 academic year. Learn more and apply here. The application deadline is June 18. Another newsworthy announcement from SFLA is that the 2011 SFLA Conference will be held at the Bethesda North Mariott. For the past few years, it has been held at Catholic University of America (CUA). Those were great conferences, and CUA is a lovely campus, but the university administration had too much control over things. They barred the Pro-Life Alliance of Gays and Lesbians (PLAGAL) from co-sponsoring the 2009 conference and having an exhibition booth. 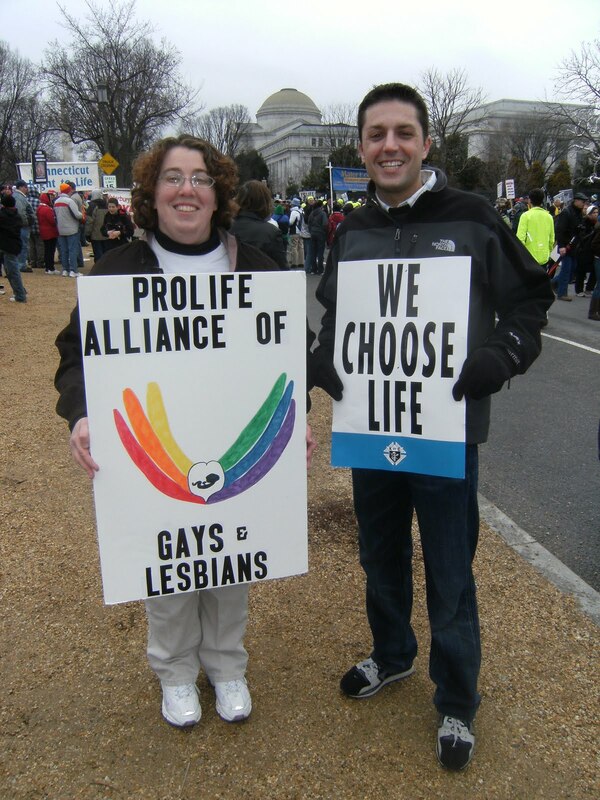 The CUA administration made it clear that PLAGAL's vocal support of gay rights was the issue, and has not objected to other non-Catholic groups like us, Lutherans for Life, etc. Now that the conference will take place in a more neutral forum, SFLA leaders will be able to invite whatever organizations they like, without outside interference. I should note that I have not spoken to SFLA about the reasons for the move. The 2010 conference was very crowded, and it was clear that they were outgrowing the space. SFLA probably would have decided to move even if the CUA administration hadn't been so intrusive. Freedom from censorship is just icing on the cake.